Russian US election hacking reached 39 states, led to Obama calling Putin on the "red phone"
It’s common knowledge that Russian hackers attempted to interfere with the US electoral system last year, but it seems the true extent of those attacks is only now being revealed. According to a new report by Bloomberg, a total of 39 states were targeted – double the number that was previously reported. Citing people “with direct knowledge of the US investigation” into the Russian hacks, Bloomberg reveals that one of the states – Illinois – saw the perpetrators gain access to the voter database and compromise as many as 90,000 records. 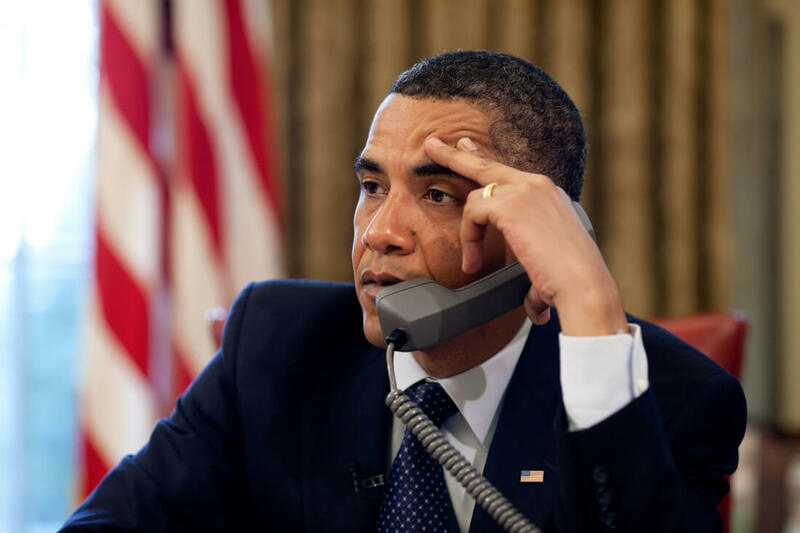 The situation was so bad that it led to then-president Barack Obama directly complaining to Vladimir Putin on the “red phone,” a cyber-hotline set up in 2013 by both presidents designed to de-escalate cyber conflict between the two countries. Thirty-seven other states reported finding traces of hacker intrusions, including the critical election systems of both Florida and California. While not all of these represented a compromise, it shows the sheer scope of the Russian’s operation. The news comes after a top-secret NSA report leaked last week. It revealed that Russian military intelligence launched a hacking campaign against at least one US voting software supplier and sent spear-phishing emails to over 100 local election officials. There’s still no evidence that the hackers were able to alter the vote counts or election results in any states, or tamper with the voting machines. It seems they either took note of Obama’s warning or the numerous different systems used by each state prevented them from altering the outcomes. The Kremlin has long denied trying to influence the US election, though Putin recently said that “patriotic hackers” may have meddled in the process.